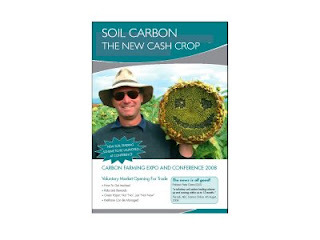 The 2008 Carbon Farming Conference is to be held in Orange, NSW on 18-19 November. The theme of the conference is: “Soil Carbon: The New Cash Crop” because the Voluntary Market is likely to be in operation in Australia by then*. • Reports from two senior scientists working on ways to reduce the cost of measuring soil carbon and make trading possible. • News of a “Catchment Carbon Calculator” which the CSIRO is hoping to load up with data that will make Voluntary Market trading a reality. • Amazing soil carbon increases in biologically-farmed properties. • Methane reality check from the scientist leading the Australian research into how big your abill will be for on-farm emissions. • State-of-the-art farm data systems for the serious carbon farmer. 11.00 – 11.30 The Question: Measurement or Estimation?